Athens Allergy,PC as it is known today, established as an independent Allergy, Asthma and Immunology specialty medical practice in 2007 under the leadership of John Moissidis, MD, after his arrival from a 15 years’ medical academic and private practicing experience in the United States of America. Dr. Moissidis is an allergy and asthma specialist who has been certified by the American Board of Allergy & Immunology and trained at the Louisiana State University medical center. 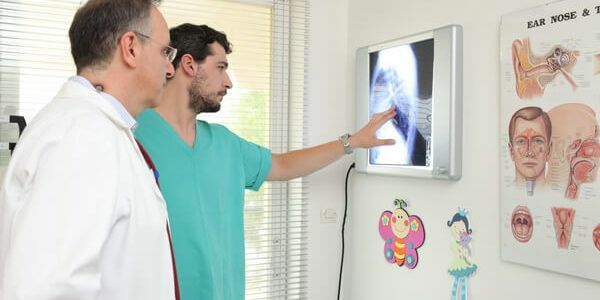 In addition, he is trained in Pediatrics at the Long Island Jewish medical center, Cohen’s Children’s Hospital in New York, and he is certified by the American Board of Pediatrics. The physician is an active member of the clinical faculty of the University Of Tennessee School of Medicine in Memphis and its affiliated hospitals and he is closely involved with the medical training of medical residents and Fellows based on his medical appointment with the Memphis University Hospitals and Clinics. The practice has grown steadily since that time, undergoing the addition of medical associates and nursing staff. We recognize that patients come to Athens Allergy because of the limitations imposed on them due to their allergic, asthmatic or immunological conditions. It is our goal to treat these health limitations, to the greatest possible extent, and give our valuable patients their lives back. We have maintained and operated our diagnostic allergy laboratory under strict quality assurance– for preparation of individualized allergy tests, and we also apply a modern state-fo-the-art immunotherapy protocol for the administration of allergy shots or allergy drops to selected individuals who suffer with severe allergies. We can test our patients for both common and very uncommon allergies of any kind –based on international test protocols and we can use updated therapeutical protocols as well, as needed, in the office or at the hospital setting. Dr. Moissidis and our affiliated physicians maintain leadership positions with national and local organizations and they are uptodate with any latest medical knowledge in research, education and training.